Brisbane Architecture Company — BAASTUDIO Architecture- Building Aesthetic Architecture My title Your SEO optimized title BAASTUDIO Architecture. Building Aesthetic Architecture Brisbane. BAAHOUSE + BAASTUDIO Pty Ltd are award winning Brisbane house designers + architecture company providing residential and commercial design services in Queensland, Australia. Based in the Bayside suburb of Wynnum/Manly. Specialities include home renovations and additions, new home designs, sustainable housing designs, and professional building design for commercial buildings including multi-level apartments, townhouses, resorts, office buildings and office interior fit outs. Are you building New or Renovating? • What type of style do you like? • What is your fee? • What do typical renovations cost? • Do you know the building process? • How long will my renovation take? • Do I require council approval? • What consultants will I need? • Do you design kitchens and interiors? • How do I get building approval? • Where do I start? • What are the first steps I should take? • Do you manage the job? • What information do I need to provide you? 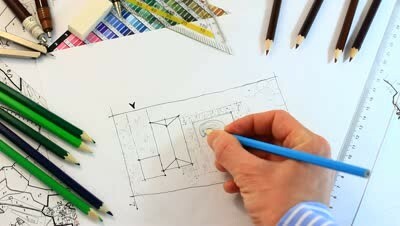 We involve our clients in the design process. Many architects, draftspeople, building designers give you a sketch design without considering your lifestyle and budget, or involving you in the process. We start by listening to you, to understand your needs, lifestyle and personal tastes. Let us custom design a project for you. We can offer a wide range of services from onsite design consultation through to master planning, interior design and project management of your project. We can tailor our costs to suit your budget and requirements for your project. Please email via the form below or call during business hours. Thank you for sending your details. Baastudio will be in contact with you. Have a lovely day.